For as long as I can remember, I have often looked to people for happiness…friends, spouse, family. The problem with looking unto people for fulfillment and happiness is that you are setting them up to fail. I learnt this the hard way time and time again. How crazy is it that we entrust imperfect humans with our happiness and fulfillment when we have Jesus. 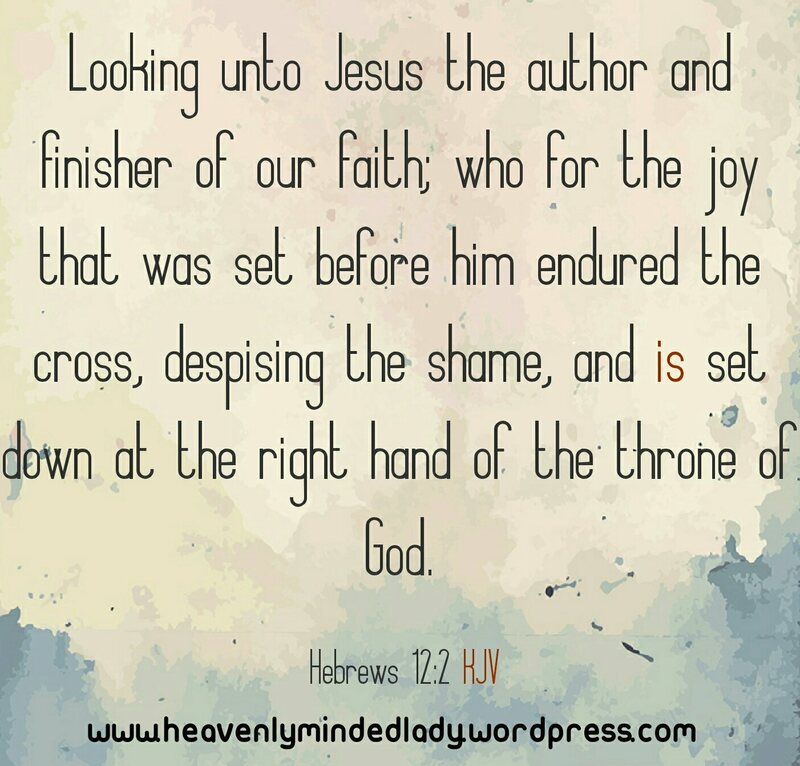 Jesus is the ONLY person we should look unto, keep your eyes focused on him and watch everything else fall into place. Our long term goal as Christians is to spend eternity with God (I cannot state this enough); inorder for this to happen, Jesus came down and took the shame on the cross. While on earth, He had a goal and He kept his eyes on the goal. Nothing stopped Him from attaining that goal. You see, to be heavenly minded, we need to keep our eyes on God. Repent from the sin of looking unto people rather than looking unto God. Putting someone else in the place of God is idolatry and will never bring us the fulfillment we seek.